The Indy Hawks have been seeded #1 for the upcoming 66th annual USADB National tournament to be held April 7-11 at Louisville, Kentucky. The #1 seed is the Hawks fourth year in a row they have been seeded at the top spot. 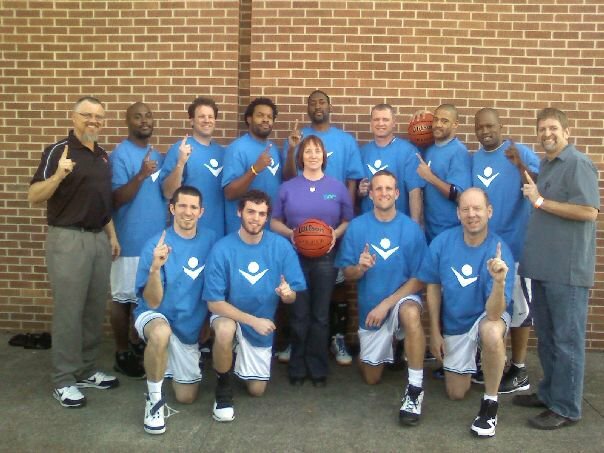 After winning the USADB championship in 2008 and 2009, the Hawks head into the 2010 tournament with eyesights upon their third straight championship. However, the road will not be easy for the Hawks (21-13) as they will face formidable opponents in their bracket. Opening against a Greater Philadeplhia team that features 6’11 Matt Terry and former Deaflympian Frank Jackson, a 6’5 scoring machine in the opening round will push the Hawks. This game against Greater Philadelphia will take place on Thursday April 8th at 1230pm at the host gym. 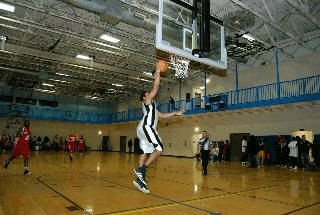 The Indy Hawks, the nation’s most prominent Deaf Club Basketball team, will travel to Fort Wayne, Indiana to meet the Detroit Panthers in a basketball game this Saturday March 27th at 1pm at the Summit Middle School (located on 4509 Homestead Road). The Hawks (21-13) are travelling the state of Indiana to bring state-wide attention on the Hawks, winners of the past two USADB Championships. The Panthers are in their second year as an independent team and recently placed 4th at the CBAD tournament held in Indianapolis, Indiana. Fort Wayne has a strong Deaf Community presence and is also the hometown of Hawks star guard Rober Haney, Jr. The Indy Hawks captured the inaugural CBAD championship by defeating the Chicago Central Zone by the score of 80-67 in the championship game. Paced by CBAD tournament Most Valuable Player Brian Bippus, The Hawks were in command from tip-off to game conclusion. The Hawks out-rebounded the Zone, 38-18 with 27 rebounds coming off the defensive boards. Behind Edlin Dorn’s 19 points and 12 rebounds and Keith Westhoelter’s 14 points , the Hawks were cruising in the second half despite a run by the Zone. The Hawks (20-12) defeated Detroit 109-40 in the semifinals behind Edlin Dorn’s 20 (including 5 dunks) and Gabriel Paulone’s 18 points, alongside Onye Davis’ 15 points and 8 rebounds. In a pregame ceremony – Robert Haney, Jr,: Edlin Dorn and Keith Westhoelter were honored by the Indy Hawks for their contributions to Team USA last summer. The Team USA Basketball won the Gold Medal. You are currently browsing the The Indy Hawks blog archives for March, 2010.